This is one of my favorite pictures. I caught this on my third visit to the Copenhagen Cablepark and it really proved to me that taking the time to find your story pays off. I’m pretty sure a wakeboarder would not take a shot like this, but it conveys what fascinated me – the power, the speed, and the movement of the water. 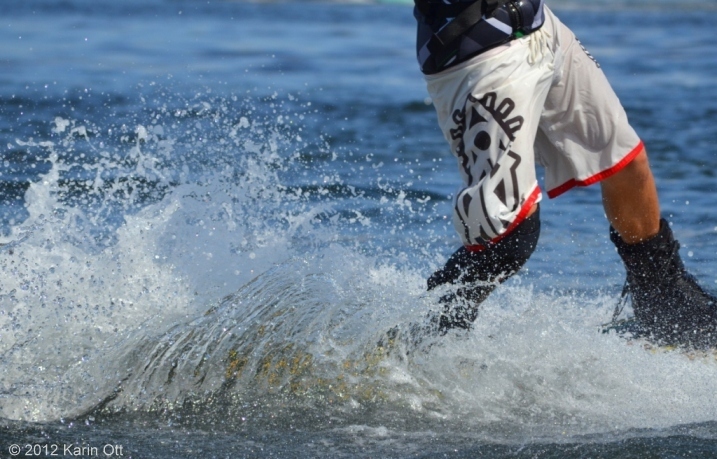 Until very resently I had no idea that there were wakeboard caples close to my home here on Amager. In fact, I had never heard the term ‘wakeboard’ before. It turns out to be a person mounted on a board that looks a lot like a snow board being pulled across the water by cables. It is more than cool to look at! Just like with water skiing they do tricks and jumps, and at Copenhagen Cablepark it all happens on an industrial backdrop. The challange is not take good pictures. That is easy. Just catch any of the wakeboarders doing a stunt. But that’s what everyone shoots. When I discovered that one of the owners is a professional photographer I almost gave up. Then I realized I had another choice. 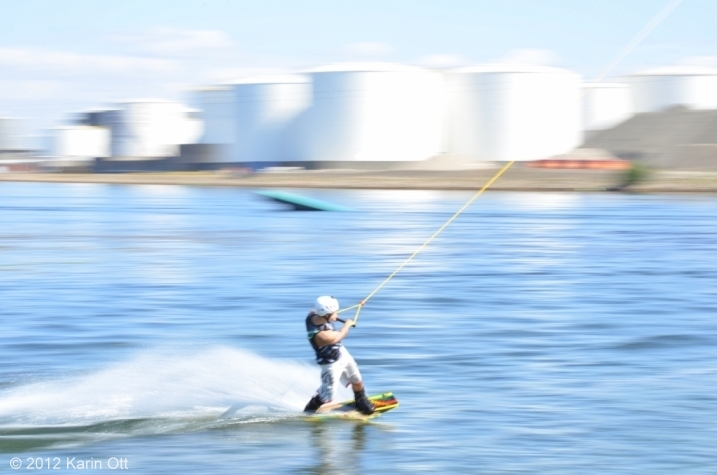 I could try to catch something out of the ordinary, to tell my own story of the wakeboarders. It took me three visits to get beyond the obvious. Above is the first picture I decided was good enough. Usually you can’t pan (follow an object in motion, making the background blurred and indicating movement) a person. But you can if they are being pulled by a cable.